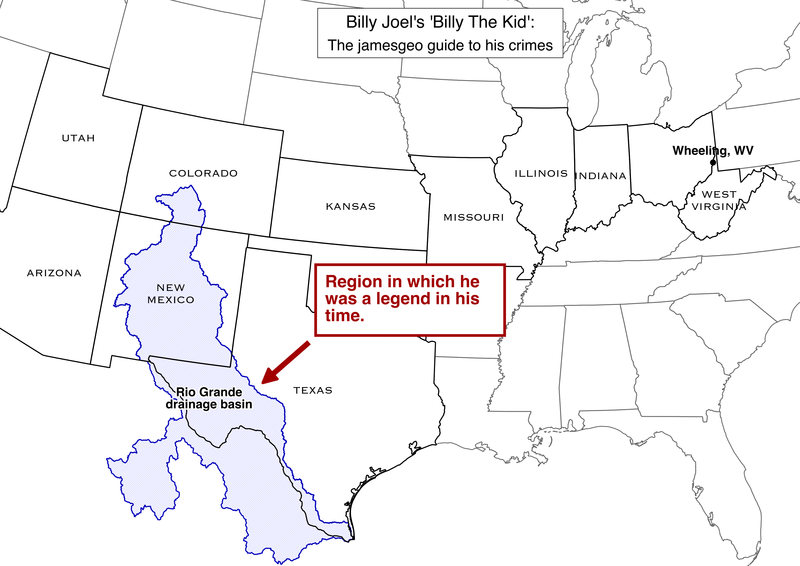 Since Billy Joel hasn’t specified the exact area in which Billy the Kid was a legend in his time, I have assumed the drainage basin of the Rio Grande. There is a large uncertainty associated with this. I have chosen the First Mountain Bank, Leadville, CO as Billy the Kid’s first crime. 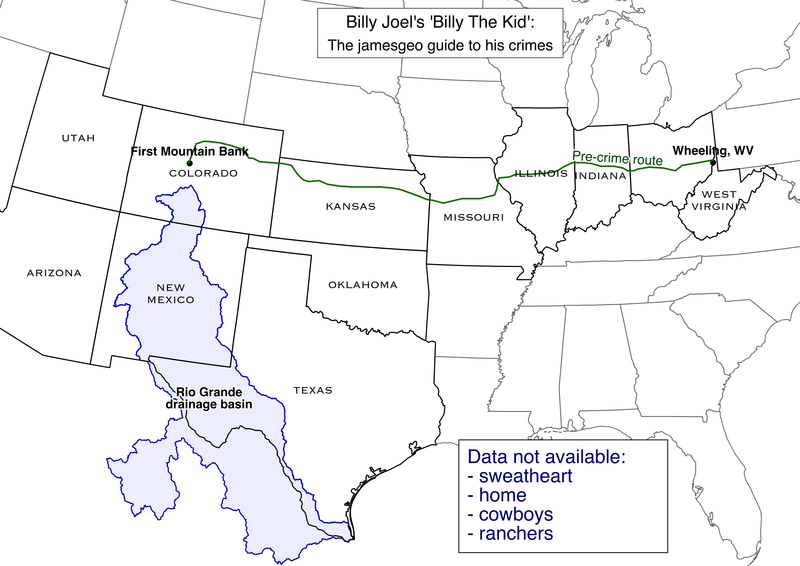 I expect he’d travel there along the route of I-70, as otherwise crossing the Continental Divide in Colorado is tricky, even if you have a Colt / six-gun, which they all do in Leadville. 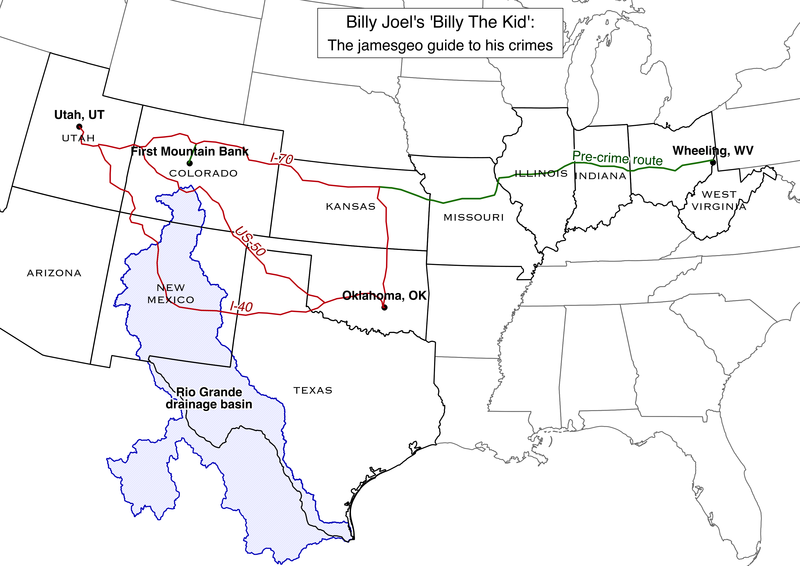 I’ve planned his route from Utah, Utah to Oklahoma, Oklahoma, as they are both so good they named them twice. There are three sensible routes (suggested by Google). 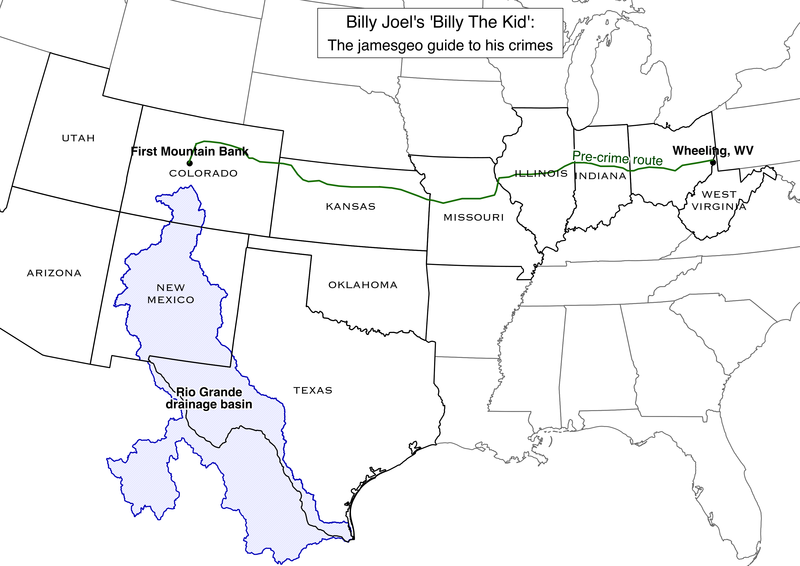 It seems most likely that he would rob his way via the region in which he became a legend in his own time, but the I-70 route would be more familiar and he could pop into his bank for another withdrawal. Billy Joel then goes on to talk about another Billy, but that’s a different story. 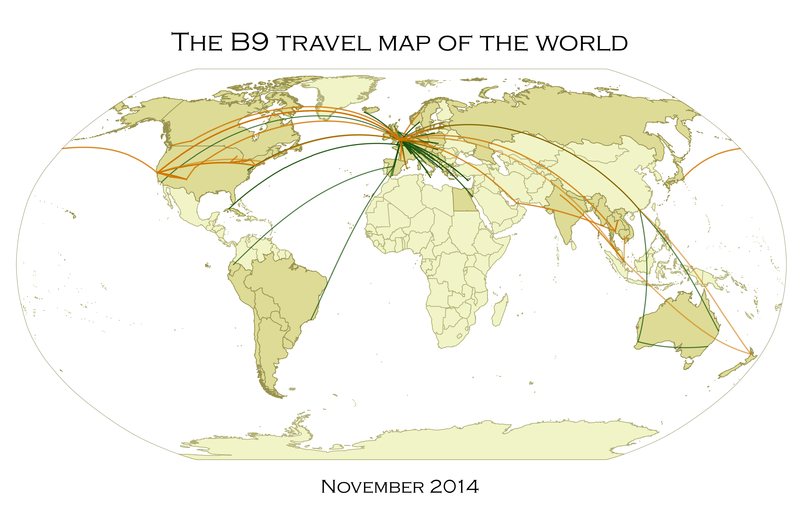 In 10 years of photography and backpacking, my college roommate and I haven’t done badly at seeing the world!